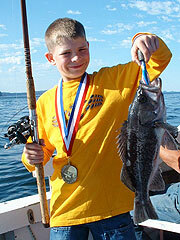 WE ARE ONE OF THE MOST COMPETITIVELY PRICED CHARTERS IN THE AREA YET PROVIDE A SUPERIOR PRODUCT. WE HAVE ONE OF THE NICEST BOATS IN THE LOCAL CHARTER FLEET, SET UP WITH THE BEST TACKLE AND GEAR. WE CONSISTENTLY RANK IN THE TOP OF THE FLEET IN DAILY CATCH AND IT IS NO ACCIDENT. WE ARE VERY COMPETITIVE AND WORK VERY HARD TO PRODUCE EVERY FISH WE CAN. 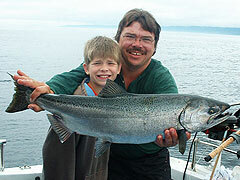 Adventure Charters is a small family owned business and charter fishing is all we do. 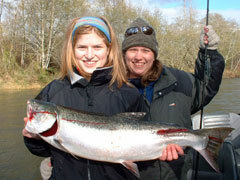 Get to know the Keslings and you will understand why so many anglers return year after year to fish with us. Adventure Charters is the best choice to spend your hard earned dollars. Everybody helps out in one way or another and we love what we do. We know how to catch fish. We put every effort into making your trip an enjoyable success. We give accurate fishing reports--both good and bad. Seattle is not a world class fishing destination and we won't pretend that it is. The fact is, we simply do not have that kind of resource. That being said, Seattle fishing can be surprisingly good for a major metropolitan area. More often than not our charters return with a nice catch, and sometimes limits, you can see the results in our photos and customer comments. We will not paint a rosy picture just to get you on-board. We strive to have our customers get what they are expecting and expect what they are getting. 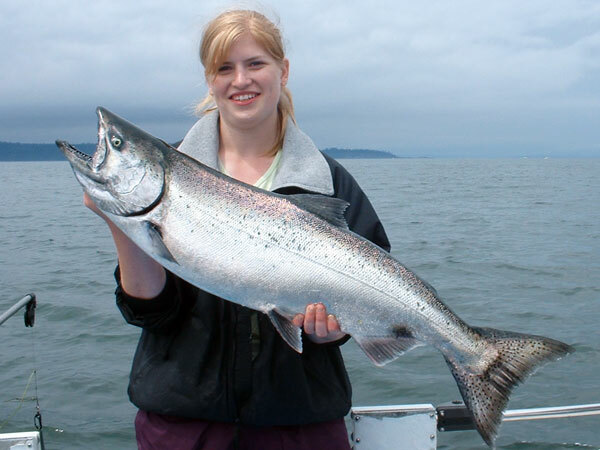 Many of the species we target are highly migratory, there are good days and there are bad days fishing Seattle. Many conditions affect fishing success: wind, tide, water temperature, barometric pressure, water clarity, lunar cycles, and bait fish presence, to name a few. Captain Steven Kesling is a master at these complex fisheries and is willing to travel farther or put forth the extra effort that makes all the dfifference. However, a huge advantage in choosing us is that *during times of prolonged depressed fishing* the captain will personally give you an accurate fishing report and you will have the opportunity to decline with no loss of deposit-- This is very rare in the charter fishing industry. It does cost us some trips and income, however we are genuine when we say we care about your trip. 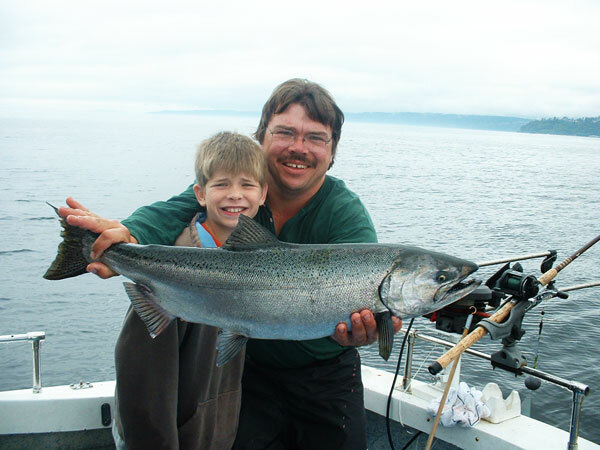 If your are considering another Seattle charter fishing company look to see what their slow fishing policy is or if they offer one. 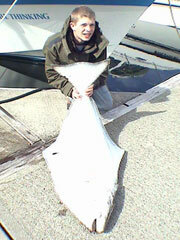 Fishing is not totally predictable and can change quickly but we do our best. Troll or mooch for salmon? We could mooch if we wanted to. We troll for salmon in Puget Sound for precisely the same reason we utilize controlled drifting for lingcod, flounder and halibut. 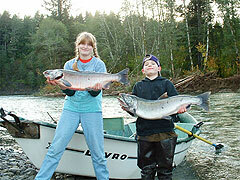 Trolling catches the most salmon per rod--in overall catch there is no comparison. You actually fish! On our boat we don't hook the fish and hand you a rod. You hook your own fish. In addition, you may run the downriggers and gear with expert instruction if you like. Some charters require you to do all the grunt work of setting lines. Here you can do all of it or none of it, and sit back and relax and catch fish--it's your vacation. We treat your catch as if it was our own. All fish to be kept are bled and iced immediately regardless of the time of year. The Captain takes extra time to butterfly fillet each and every one of your fish. 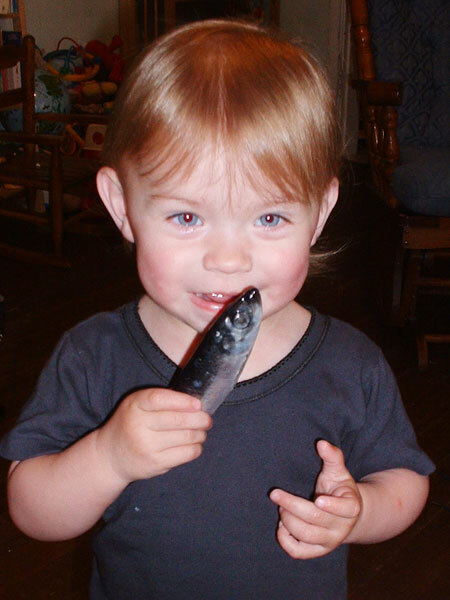 Another option we offer is to gut and gill whole fish. 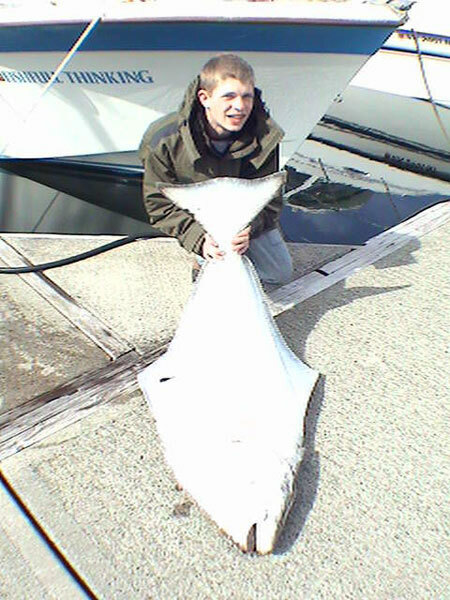 We are not the type of charter that brings one bag of ice for your prized catch. We have separate iced coolers for your lunch and catch.